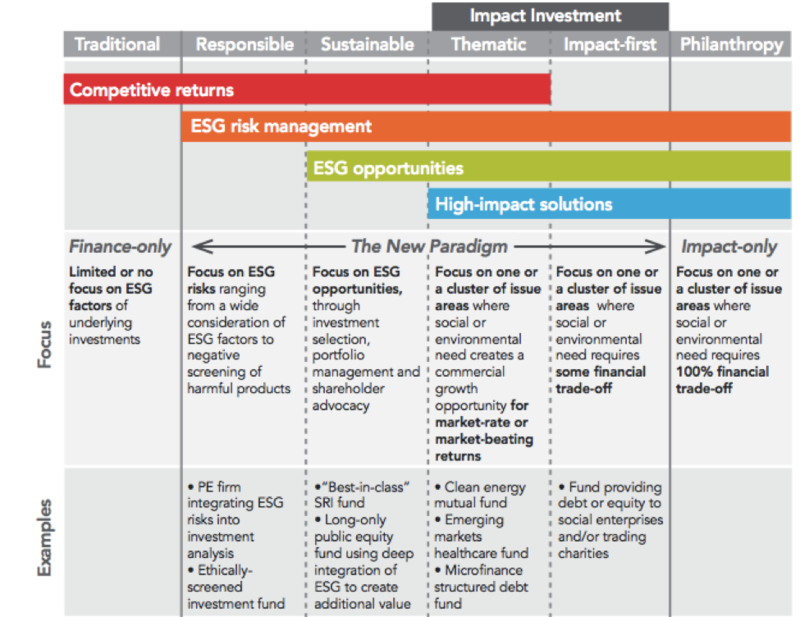 What is impact investing in listed equity? Public equity as an asset class is often overlooked in the impact investing space. There is a widespread skepticism surrounding what exactly classifies as 'impact' in the listed equity investments. Practices such as negative or exclusionary stock screening and best-in-class ESG screening are commonly grouped under umbrella terms 'responsible investing' or 'sustainable investing'. Such practices however may lack the intentionality, additionality or measurability required to qualify as impact investments. Listed equity impact investments are investments made in public companies whose products and services directly address environmental, social and governance challenges. Going further, these challenges can even be classified in terms of the UN Sustainable Development Goals. The impact of such investments would need to be continuously measured and managed. Next to providing one-on-one meetings with listed equity impact managers in InvestorConnect sessions, the third edition of Impact Summit Europe which took place this March also offered two sessions to provide institutional investors with a better understanding of public equity impact investing - Panel discussion on contributing to SDGs and generating impact in listed equity, and Impact academy on measuring impact and sustainable development in listed equity investments. On October 12, 2017 at Rosarium, Amsterdam, Phenix Capital is hosting an investor-only Impact Series Seminar focusing on listed equity. Mark your calendars and join fellow investors, fund managers and impact investing industry experts for a productive conversation on generating impact and contributing to the UN SDGs through listed equity. For more information on this seminar, please contact Marthe Reinette.